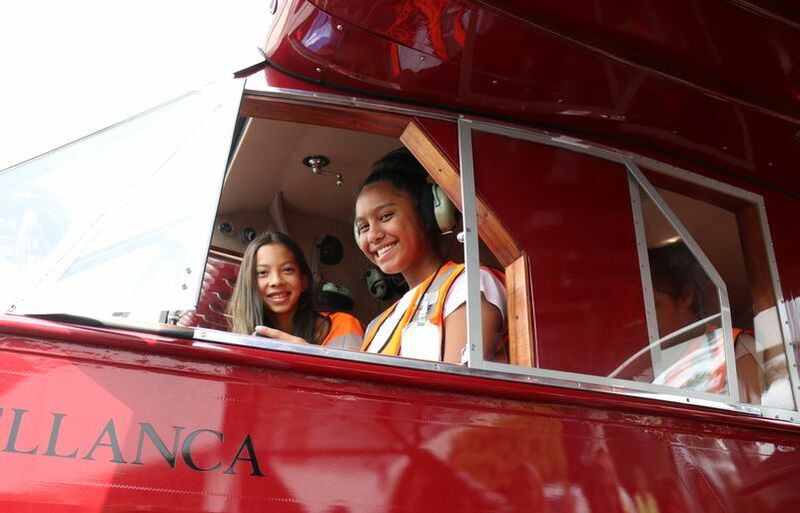 It’s the dawn of a new day, and we’re seeing more wāhine (women - pronounced waah-he-nay) than ever taking on some of the most challenging roles in the aviation industry. 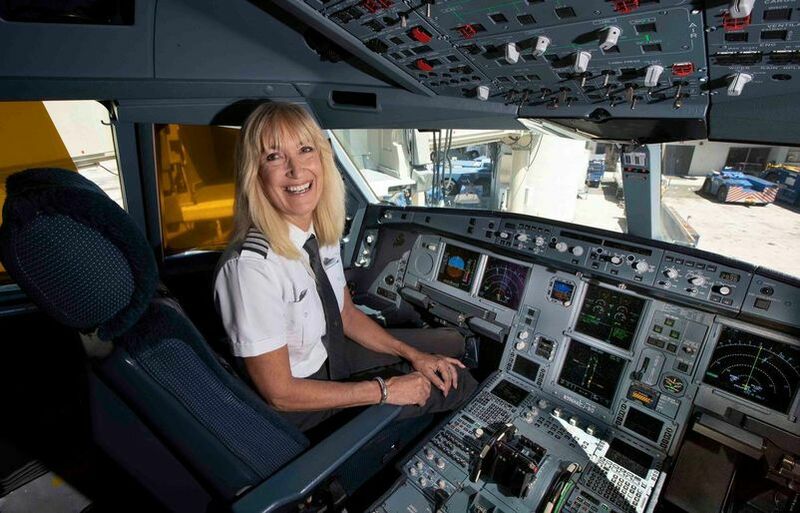 According to Women in Aviation International, 42,694 women make up seven percent of today’s pilot force, an increase of 7,000 since 2000, when only three percent of pilots were women. And in non-pilot positions such as dispatcher, flight attendant, mechanic, engineer, 29 percent (or 195,993 workers) are women in 2018. At Hawaiian Airlines, we were in the forefront of women in aviation with the first all-women crew flying in 1979, and we still encourage our fellow wāhine to reach high. We wanted to take a moment to recognize these ladies for their hard work and showcase a handful of the 3,515 female employees who carry our ‘ohana to great heights as Hawaii’s airline. 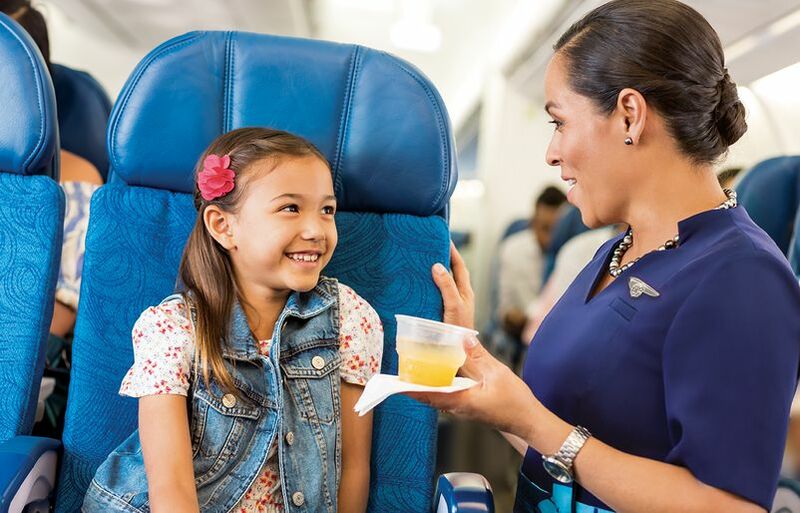 Keep reading to meet some of the proud wāhine of Hawaiian Airlines. “Wāhine in Aviation’s mission is to promote the encouragement, networking, and advancement of current and future generations of women in all aviation career fields and interests,” shared the group’s vice president, Kanani Kealoha-Faleafine, a manager of loyalty services and a former Kahului Airport ramp agent at Hawaiian Airlines. The group started small with only 25 employees and has since grown to 125 active, contributing members! 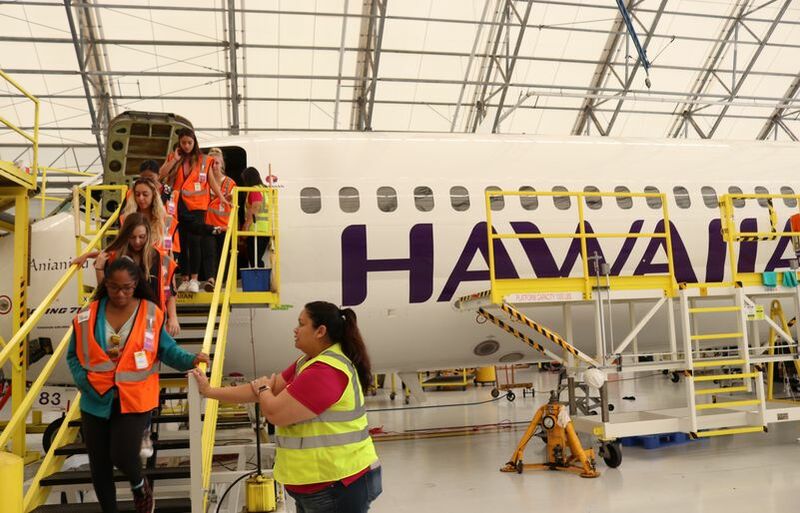 In celebration of the fourth annual International Girls in Aviation Day (October 13), our Women in Aviation employee group invited 20 high school teenagers throughout O‘ahu to get a special behind-the-scenes look at what it’s like to work in the aviation industry. 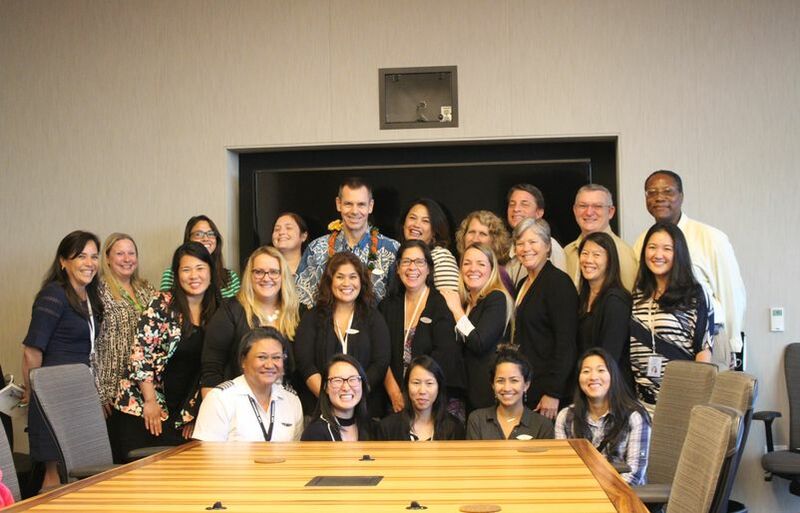 The event, which kicked off in Hawai‘i two years ago and has since been hosted at Hawaiian Airlines, is a unique mentorship opportunity for youth looking to enter the field before their careers take flight. 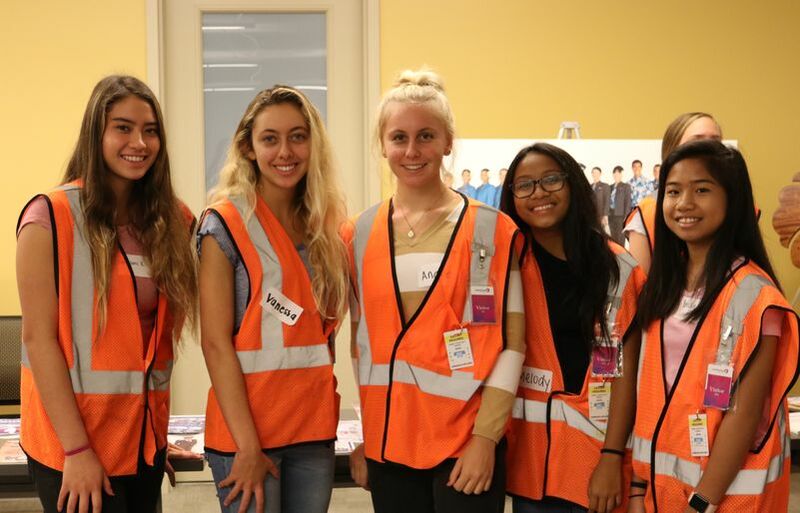 Throughout the course of 2018’s Girls in Aviation Day, the group dove deep into the critical roles that contribute to our award-winning service, toured the new Charles I. Elliott Maintenance and Cargo Facility and networked with some of the most passionate wāhine in our company, from aircraft mechanics to pilots. The cherry on the cake: our historic Bellanca CH-300 Pacemaker, the airplane that started it all for Hawaiian Airlines, made her big debut at the end of the day. The group took the ultimate selfies in front of the aircraft and got to explore its six-passenger cabin. Ramp Services is one of the most physically demanding jobs in aviation. Ramp agents handle heavy luggage and cargo and operate large pieces of equipment with precision in a wide spectrum of weather conditions: hot and humid temperatures, rain, wind, and noise. 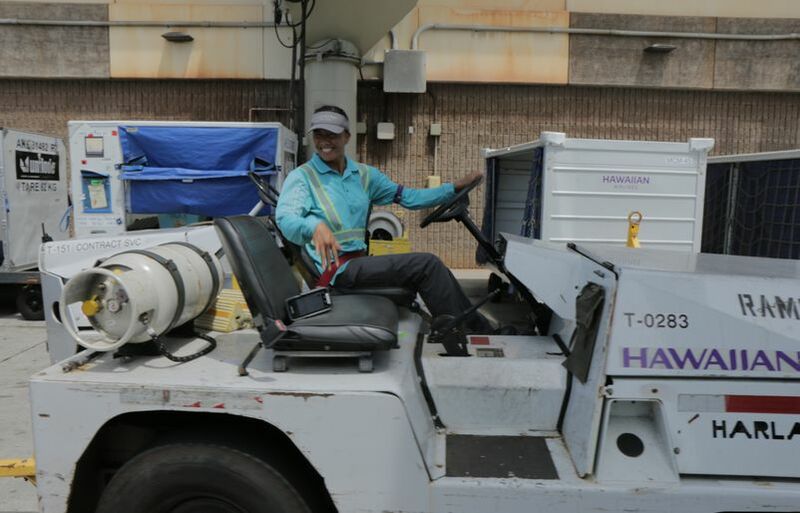 Hawaiian Airlines currently employs more than 540 ramp personnel, of which 100 work at our Maui hub at Kahului Airport (OGG). Traditionally, men have fulfilled this role. However, in recent years, the number of women joining the ramp ranks has been growing. Three years ago, one in 30 ramp agents was female; that ratio is now one in five. Our job is very physical in terms of moving bags and cargo, but the care for and safety of our guests and colleagues is always top-of-mind. The proper placement of bags in the belly of the aircraft is important in maintaining its correct weight and balance. We communicate constantly with all parts of the operation. This is in addition to moving bags and equipment around. We talk to Maintenance, Cargo, Guest Services, to name a few. People who master communication on the ramp can communicate anywhere. We are proud of the work we do. If you build the “perfect stack,” then no bags will fall between the aircraft and bag belt. It’s like building a rock wall, where placement of every piece matters. Working hard on the task in front of you will save extra work in the future. Everyone should think five steps ahead. We know it’s okay to be scared and being vulnerable is ok. Especially as new-hires, it’s natural to be afraid. Being scared may be a good thing because if you’re scared, it means you care. We work through our fears and challenge ourselves. What you are capable of will surprise you. We take care of our team, regardless of tenure. Team members need support and guidance to become stronger. Remind everyone of what they need to do (i.e., wear your seatbelts). It’s like with your kids when you teach them to brush their teeth. They don’t like being reminded, but it’s necessary for them to learn. We know that it doesn’t matter if you are male or female, as long as you can perform your tasks well. The team is only as strong as its weakest link. Take care of your team, don’t be lazy, and do your work out of love. Click here to read the full feature on Kiki and her passion for flying. 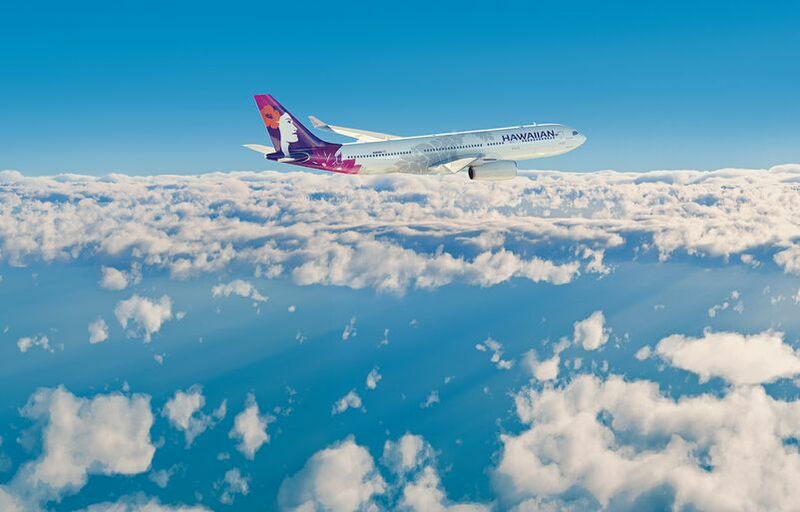 Last but not least, you’re likely to have seen the welcoming smile and proud gaze of Pualani – the face of Hawaiian Airlines on our aircraft tails – gracing the sky. 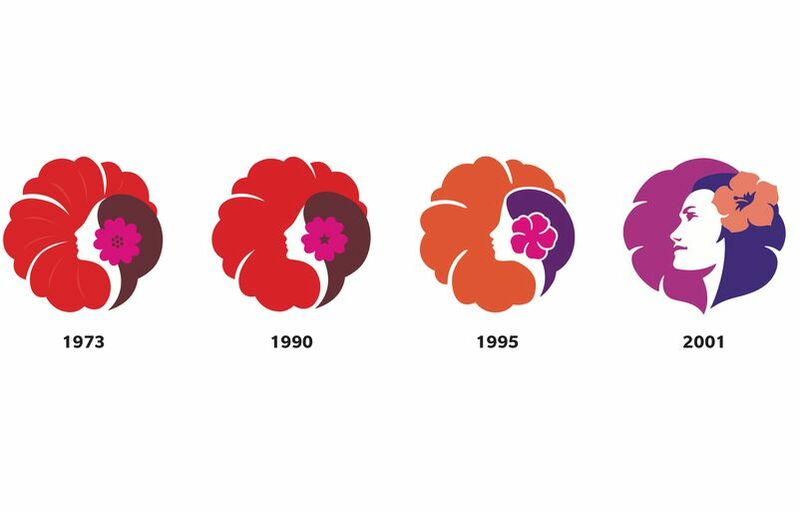 Known as “Flower of the Sky,” Pualani is a distinct symbol of our 89-year history, and one of the few feminine figures to front an airline. Pualani has always been our beacon of Hawaiian hospitality. Contrary to popular belief, she was not modeled after any of the Miss Hawai‘i winners. Her strong presence and features were conceptualized as a real-life representation of our company’s mission and aloha for the Islands. 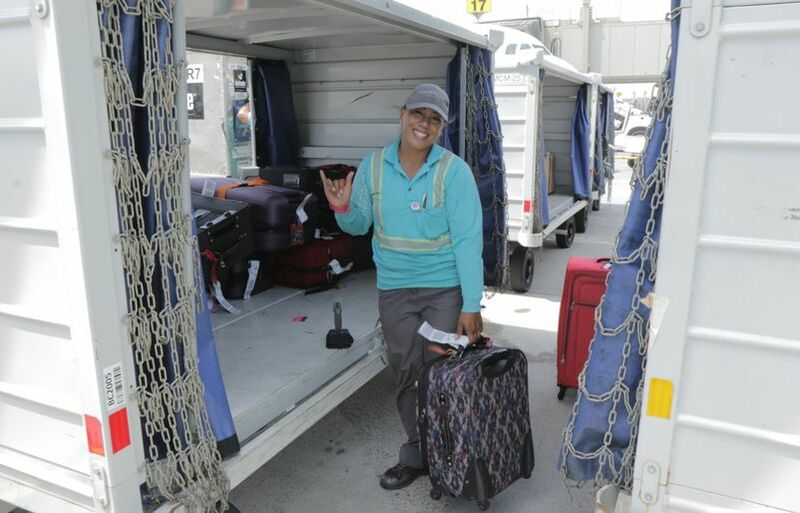 While her appearance has changed throughout the years, she remains a promise to our guests that we offer something no other airline can - the warmth, care and generosity that are hallmarks of our culture of ho'okipa (Hawaiian hospitality). A line up of our logos throughout history. In 2017, Hawaiian Airlines unveiled an updated Pualani logo.